I have been working on a Gabriele Dell'Otto cover checklist for the last few days, which we will probably publish sometime this week. I have done a bit of research on his European exclusives and I am glad to say I found another DC cover (which is not very common for Dell'Otto). 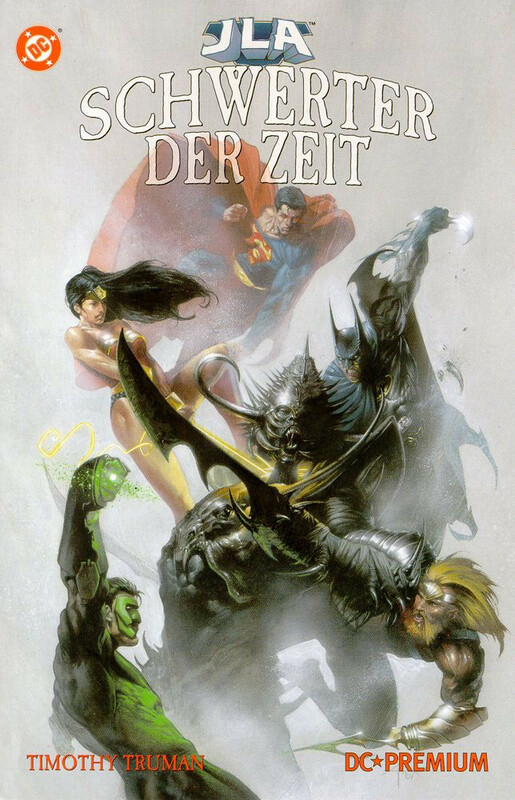 The cover is for a German edition of JLA: Gatekeeper published in the DC Premium series (a series of TPBs/HCs that reprints minis and one-shots) back in October 2002. Always nice to see his interpretation of the Trinity, right? Yes, that's the same cover as featured in this other article, but it was published a while before, so this is actually the first edtion of this cover. The French edition might be more interesting as it's a virgin cover, but I'm including this one here for all you chronofans! 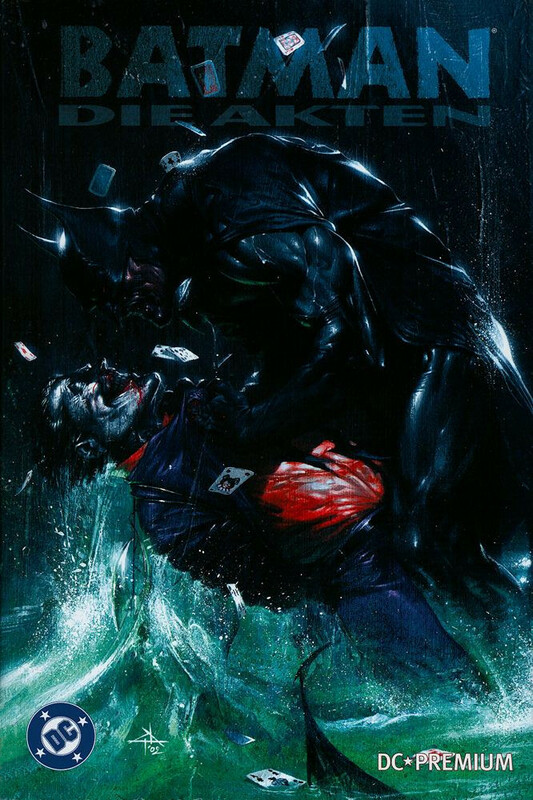 Hot Damn that Batman cover is awesome!! !